It is ironic that I decided to write this today. I have spent all day on the couch, in severe pain. 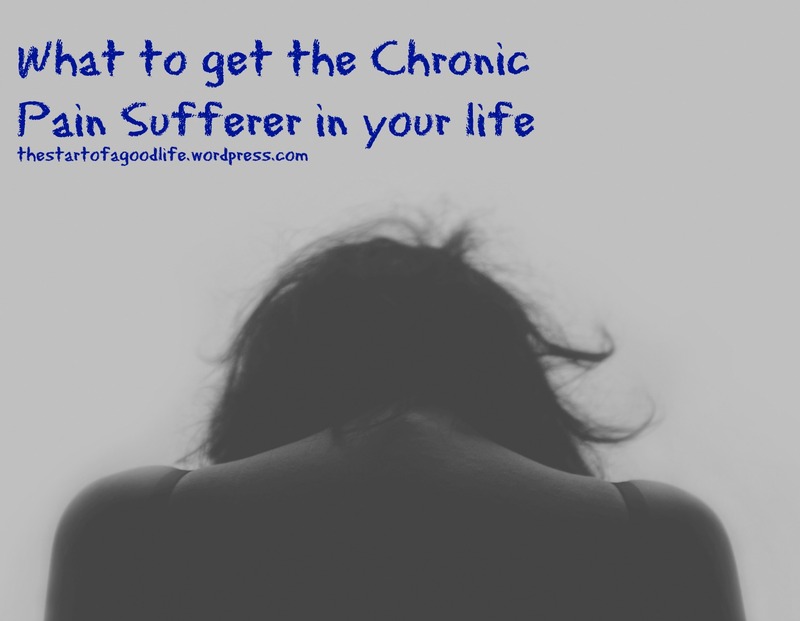 I even called my doctor asking for a prescription pain killer – which is completely unlike me. But, the idea for this came a few weeks ago when I was seeing all sorts of gift guides for the gardener, the at-home-chef, the beer lover, the crafter, etc etc. I decided what we needed was a gift guide for the chroni pain-er. hehe. just going with the flow of wording there, folks. Some of these ideas can get pretty expensive, but I wanted to add them as well, because they really are great! I hope this gives your Christmas shopping list a bit of help! I am seeing some fantastic gift basket combinations while reading this list. Of course, these would be great for birthdays or ‘just because’ gifts as well. eye pillows – i have so many of these and they are great! Please tell me if you have any items to add to this list! I’d love to include more ideas! Great post & great gift ideas! Calming natural & organic tea is something that I have found good to give & receive. Like the sound of a hoodie pillow!